It's easy for food to trigger a serious sense of nostalgia. Grandma's chocolate-chip cookies. Dad's famous barbecued ribs. Even snack foods can transport us to the past. From Pillsbury crescent rolls to Cracker Jacks, you may be tempted to indulge in the snacks of your youth without checking the ingredients list first. While the kid in you could be blissfully unaware of added sugars and artificial additives, grown-up you needs to take a peek at the nutrition label of your favorite childhood snack foods and see what's really lurking in those nostalgic snacks. These small bags of gummy fruit snacks are a childhood staple. The package boasts that they're "made with real fruit," and to be fair, fruit puree is the first ingredient listed. However, the next two ingredients are corn syrup and sugar, and many varieties contain artificial food dye Red 40. While studies are mixed on the impact of Red 40, some research has shown that the dye can damage DNA. Dyes like Red 40 also contain benzidene, a compound that's permitted by the FDA in low, presumably safe levels, but is also a known human and animal carcinogen. Research has also shown a link between artificial food colors like Red 40 and hyperactivity in children. You probably had Cracker Jacks as a snack at the county fair or a baseball game, and you likely got excited about the prize at the bottom of the box. But the first two ingredients on that box are sugar and corn syrup. 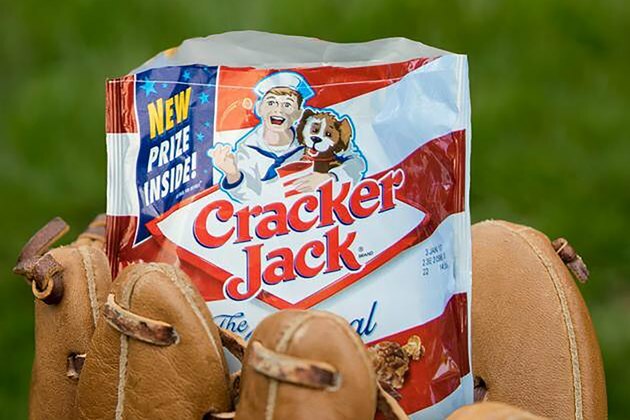 And of the 14 grams of sugar in Cracker Jacks, 13 of them come from added sugar. "Added sugar is something that should definitely be limited in your daily diet because too much added sugar can increase risk of both weight gain and cavities," says Amy Gorin, RDN, owner of Amy Gorin Nutrition. "Eating calories from added sugars also takes away space in your diet for nutrient-dense foods," she explains, meaning you get full without getting well fed. While the fruit cups from the '80s and '90s were often packed in a sugary corn-syrup blend, most fruit cups today rely on white grape juice — a still-sugary, albeit slightly more healthy, alternative. Fruit cups that include cherries, though, have one lingering offender to avoid: erythrosine, or artificial dye Red 3. A 2012 study published in Food and Chemical Toxicology found erythrosine to be damaging to DNA structure and toxic to the processes of the pituitary gland (a.k.a. the "master" gland in charge of producing and regulating a variety of important hormones) and the creation of healthy sperm. However, Red 3 is still widely used in a variety of consumer food products, including the cherries in fruit cups, maraschino cherries and some packaged frostings, cake decorating gels and popsicles. 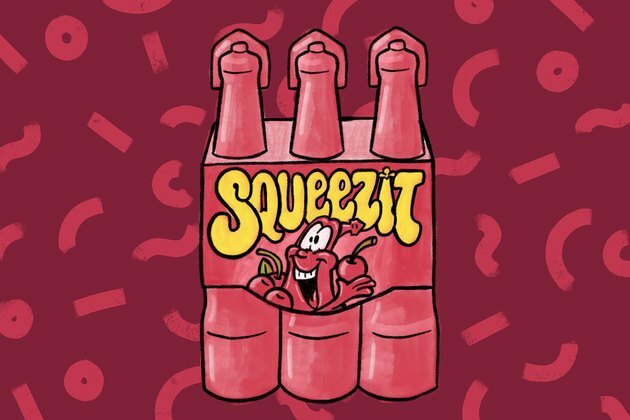 A lunchbox staples of the '80s and '90s, SqueezeIt fruit-flavored juice came in a squeezable plastic bottle molded with the funny faces of artificially flavored "characters." But a quick look at the label reveals this "fruit juice" was pretty light on actual fruit. Containing only 11 percent actual fruit juice, the rest of the beverage was a mix of high-fructose corn syrup, food dyes like Red 40 and artificial flavors. While the fun bottles and sweet taste may have appealed to kids, the 26 grams of sugar from high-fructose corn syrup came at a cost. High-fructose corn syrup has been found to cause greater weight gain than table sugar, up your risk of heart disease and increase blood pressure. A glance at the ingredients on Pillsbury's Big & Flaky Crescent Rolls reveals one big offender: partially hydrogenated soybean oil, a trans fat. "Not only can they increase your 'bad' LDL cholesterol, they can also lower your 'good' HDL cholesterol and increase your chance of heart disease," says Gorin. In 2015, the FDA determined that partially hydrogenated oils would no longer be classified as generally recognized as safe (GRAS) and set a 2018 deadline for companies to reformulate their products. But there was a loophole. Products with less than 0.5 grams of trans fat per serving could list "0 grams of trans fat" on the label. Consuming multiple servings or various products with these hidden trans fats can quickly add up and impact your health. The way to outsmart these hidden trans fats? Read the ingredient list, says Gorin. Steer clear of any products that list partially hydrogenated vegetable oils, even if the label says zero trans fats. 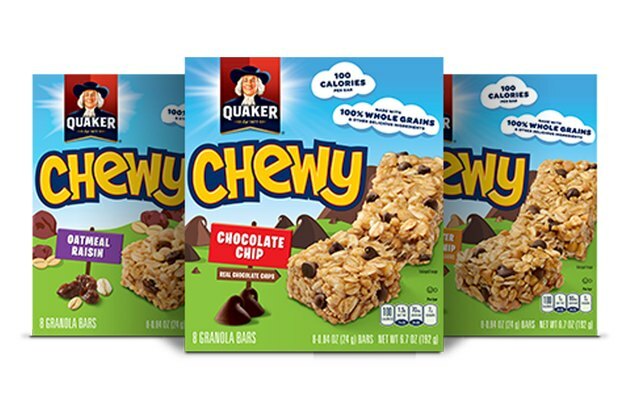 While the front of the Quaker Chewy Granola Bars box says they're "Made with 100% Whole Grains and other delicious ingredients," there's one ingredient you might not find so tasty: BHT. Butylated hydroxytoluene, or BHT, is a food preservative used to slow down the rate of oxidation in order to maintain the color and taste of processed foods, ultimately making them more shelf-stable. However, the benefits may not be worth the risks, says says Jacqui Justice, a clinical nutritionist in Westchester, New York. The 2016 Report on Carcinogens from the National Toxicology Program lists BHT as "reasonably anticipated to be a human carcinogen" on the basis of experimental findings in animals. While BHT is still approved for use in the United States, several countries, such as England and Japan, have already banned its use. This light version of the Pringles chip was made with olestra, a fat-free additive discovered in the late 1960s that looked like, cooked like and tasted like ordinary fat, but added no fat or calories to foods, according to Be Food Safe. But there was one problem: the warning label that listed the side effects of olestra, read, "Olestra may cause abdominal cramping and loose stools." While research was mixed regarding whether the chips in the can actually led to more time on the can, other research pointed out that olestra might cause weight gain. A 2012 study from Purdue University found that rats that were fed olestra-containing potato chips ate more overall and gained more weight than those that were fed regular, full-fat potato chips. The fat-free additive has since been banned in Canada and the European Union and isn't widely used in the United States. You probably won't be surprised to find out that many of your favorite childhood breakfast cereals were filled with some pretty big offenders. With 13 grams of sugar in a single cup, it's not surprising that the first ingredient in Kellogg's Froot Loops is sugar. Add in partially hydrogenated vegetable oil (a.k.a. trans fats) and a variety of artificial dyes (including Red 40 and the preservative BHT), and that sense of nostalgia may quickly be replaced with regret. 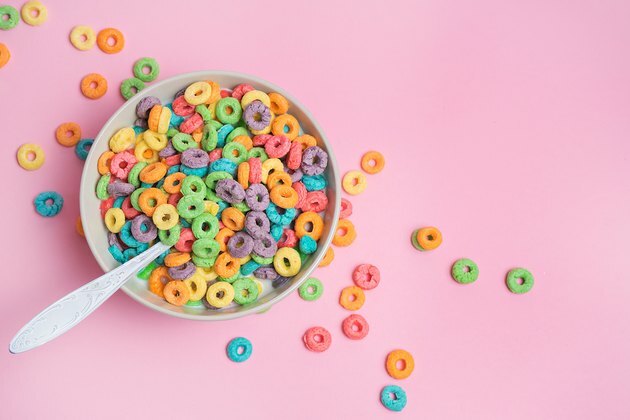 While the European version of Froot Loops only have purple, green and orange loops (thanks to EU restrictions on food dyes), we here in the States can enjoy our breakfast loops in an entirely artificial rainbow of colors.